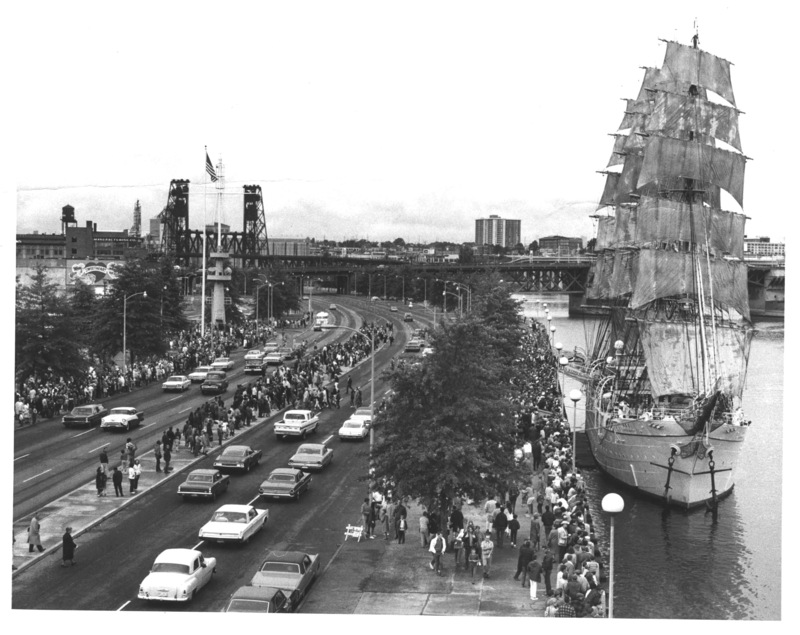 The Fremont Bridge was still a couple of years away from completion when this photo was taken of the I-405 project. 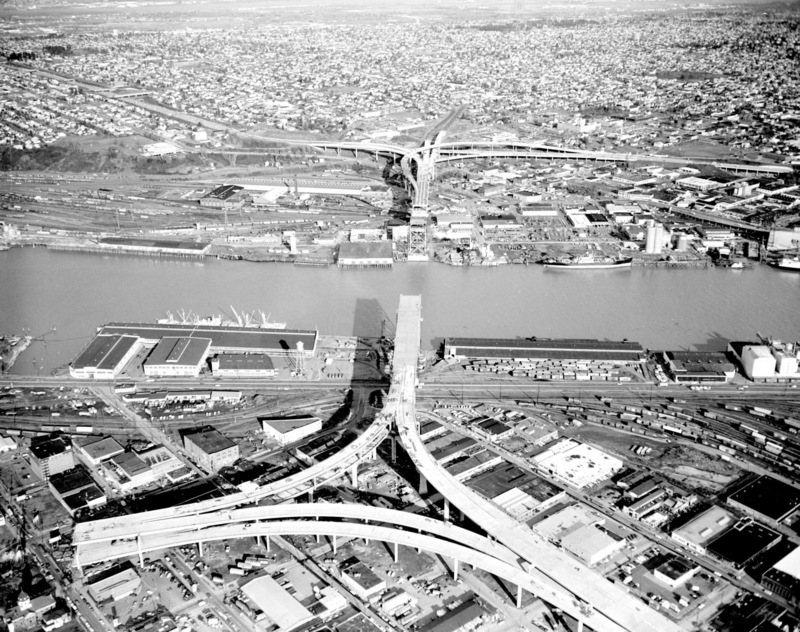 The center span would be lifted into place in March, 1973. This view looks northeast from industrial Northwest Portland, across the Willamette, and into North Portland where I-405 meets I-5. 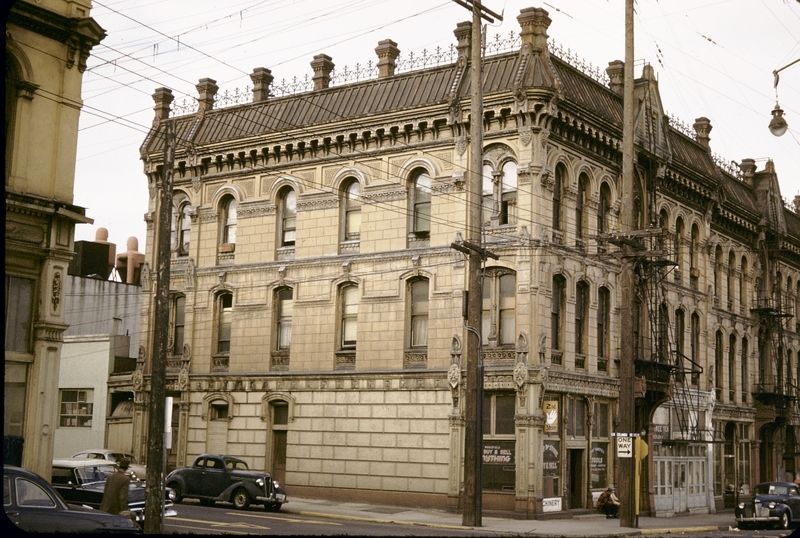 This nice brick and cast-iron building was erected on the southeast corner of SW 2nd and Oak in 1884 at a cost of $20,000. 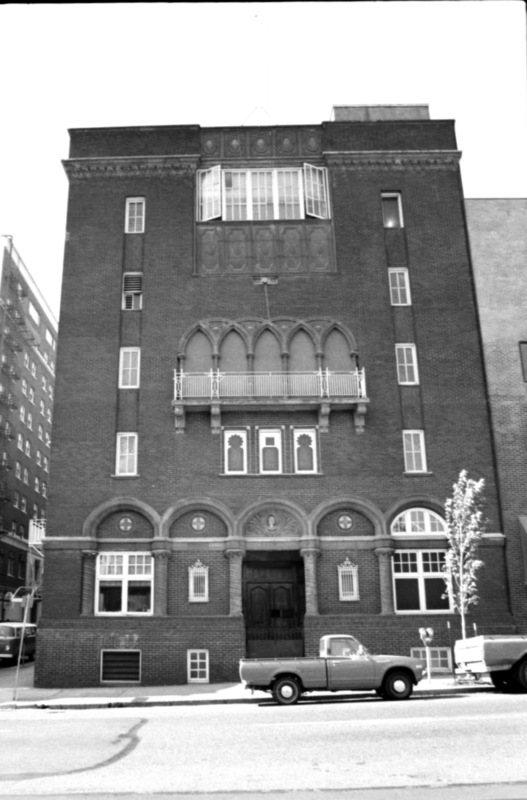 This photo dates to 1959; the building was demolished in 1965. The first of these side-by-side buildings was the old Knights of Columbus building, build circa 1920. The other, less architecturally inspiring, building adjoined it on the west side. 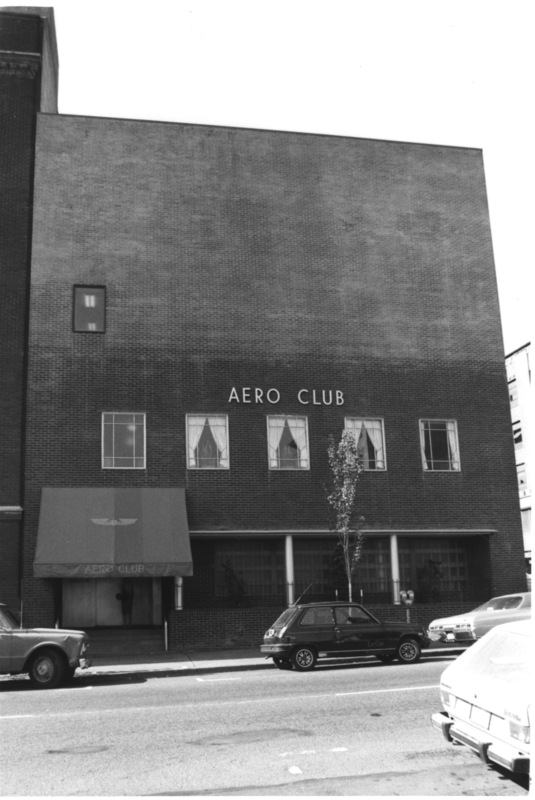 The two formed the Aero Club and they stood at SW Park and Taylor until 1998 when they were demolished and replaced with the Paramount Hotel. 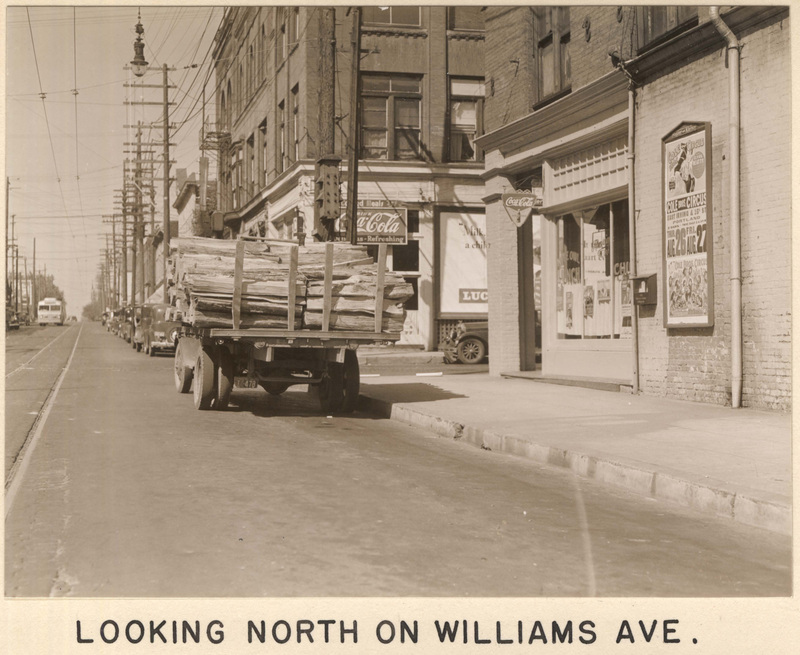 You could get a Coca-Cola or a bowl of chili at the Nite Owl Cafe at the corner of N. Williams and Russell in 1937. None of this exists today. 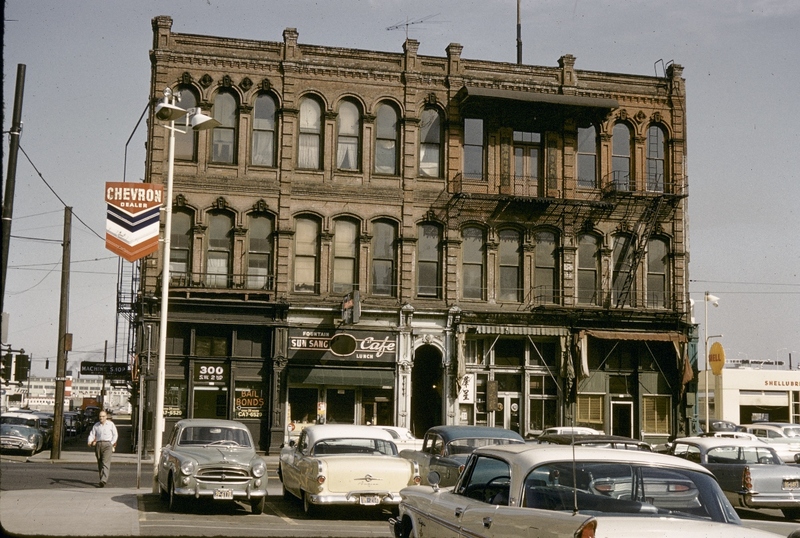 The 1881 Ladd Block, on the northwest corner of SW 1st and Columbia, survived until 1965 when it was demolished almost overnight and replaced with a paved parking lot. 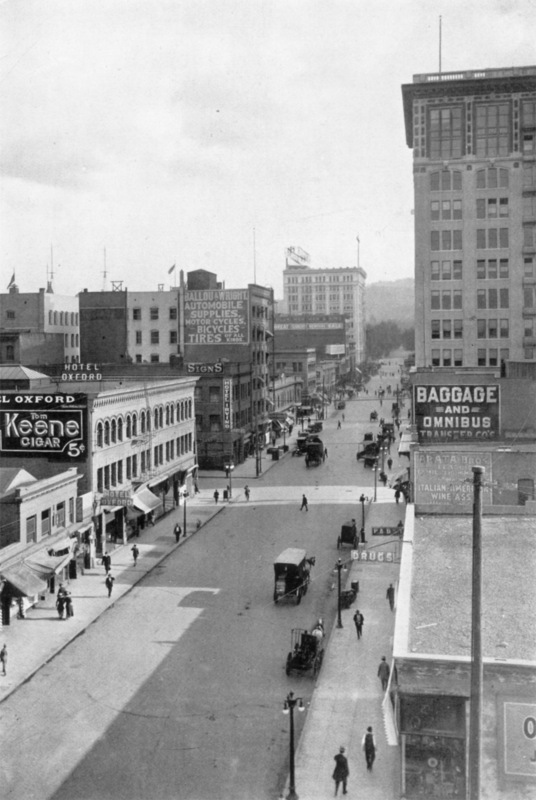 When the Benjamin Franklin Plaza building (now Umpqua Bank Plaza) was built across SW 1st Avenue, some of the cast-iron pieces from the Ladd Block were installed on the 19th floor.